As essential as it is, backing up your device is a process that can sometimes fail to work. An iCloud backup can particularly be problematic since most of the time you set it up to work automatically. 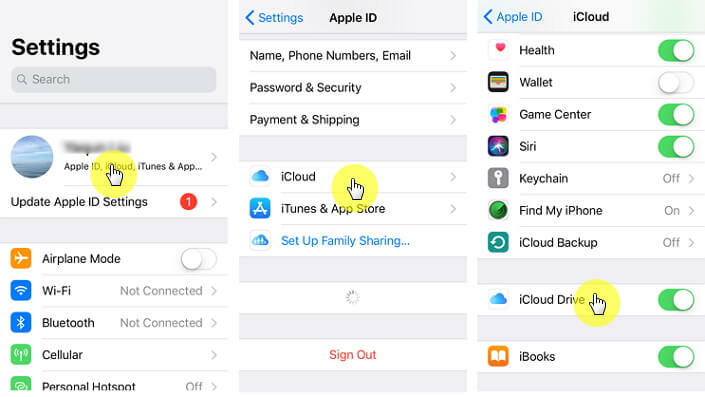 If your iCloud backup didn’t work, this article will attempt to get to the root of the problem and hopefully fix it for you. For an iCloud backup to work, the following conditions need to be met. And the screen needs to be off, meaning the device needs to be asleep. If all of the above conditions have been met and you still don’t have an iCloud backup to show for it, you may have a problem. The following are some of the quickest and most effective solutions you can try. Try one after the other until the problem has been fixed. It is entirely possible that there is a bug in the system and a simple sign out and sign in could do the trick. Try signing out of iCloud and then signing in again. If this doesn’t do it, check out our second solution. Step 1: Click on Settings > iCloud. Step 2: Slide down the screen until you see the "sign out" buttion. 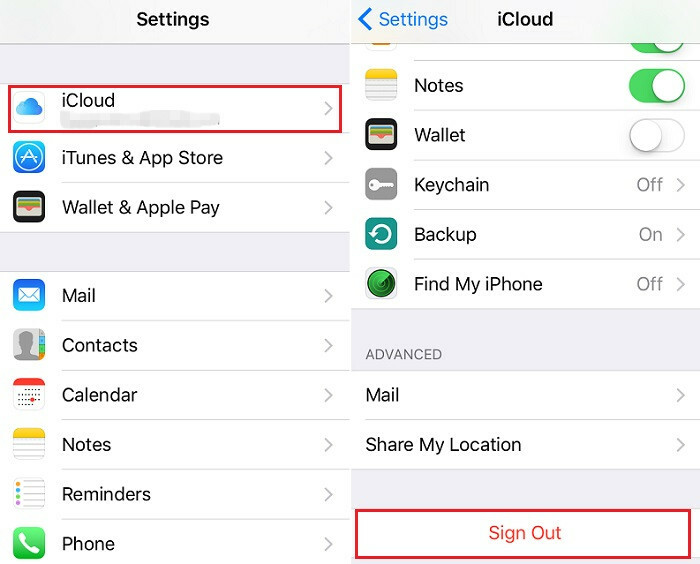 Note: If you sign out of your account, all iCloud Drive document and dara stored in iCloud will be removed from your iPhone. Resetting the network settings might work to fix any problem you may be having with connectivity and hence fixing the backup problem. This is especially true if your device is having trouble connecting to a Wi-Fi network. Follow these simple steps to do it. Step 1: Tap on Settings > General. Step 2: Scroll to find “Reset” and tap on “Reset Network Settings”. 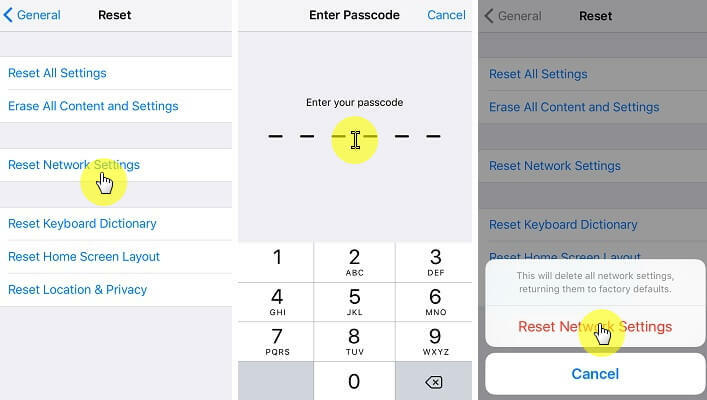 Step 3: Enter your password for your iPhone and click on “Reset Network Settings”to confirm the action. If this doesn’t work, try our third solution. 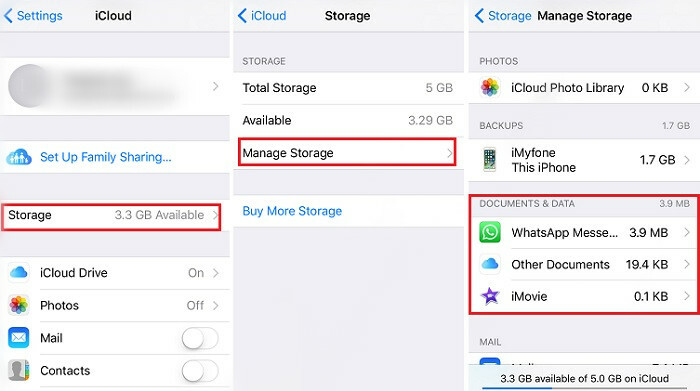 Like we mentioned above, you could be having trouble with your iCloud backups because of a lack available iCloud storage space. To check if you have adequate storage, follow these simple steps. Step 2: Tap on the “Storage” option located at the top of the screen. Step 3: Tap on “Manage Storage” at the center of the screen. You can view the available storage on this page. Step 4: You can also delete some of your old backups to create space. Just make sure that they are really old and that you don’t need the data in them anymore. If this still won't work, check if any new iOS system update is available. In igeeksblog's opinion, the size of some apps may cause the failure of iCloud backup, even if you have enough avaiable storage in iCloud. It may be helpful if you try to disable some of the Apps from backup. Step 1: Tap on Settings App > iCloud. 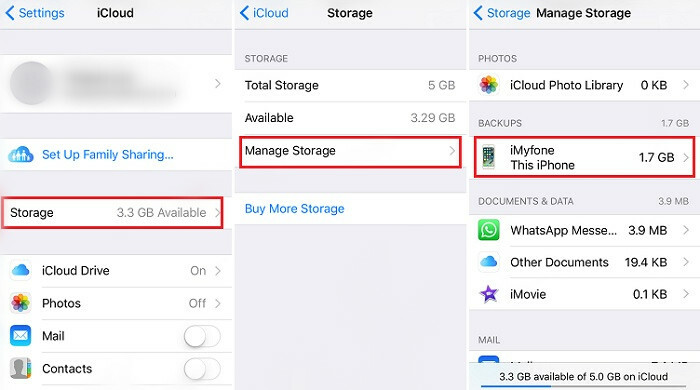 Step 2: Tap on Storage > Manage Storage under iCloud settings. Step 3: Under the the DOCUMENTS & DATA category you can find a list of apps and the size of them. If you find some apps are taking heavy storage space, you can choose to disable them. Step 4: To turn off the automatic backup of these apps, go to iCloud > iCloud Drive. Find the apps and turn them off. If you try all of the above but still can’t perform an iCloud backup, try backing up your device using iTunes. Simply connect the device to your computer and launch iTunes. 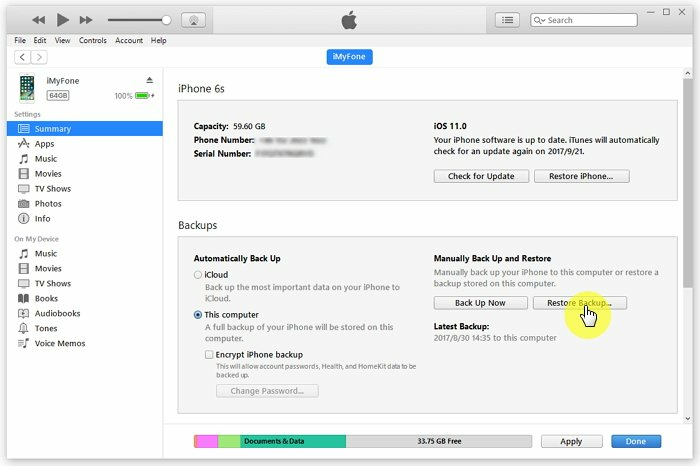 Click on the iPhone and then click on “Backup Now” to back up the device.